With Rajasthan reporting a fake drug with links to a company in Odisha, the National Human Right Commission has sought an immediate action report from the Union Health Ministry, and 13 more states. 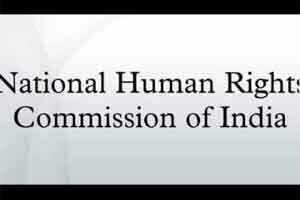 NHRC has expressed strong concern over the matter raising doubts about endangering people’s lives who consumer such fake medicines. The matter came to highlight when an Odisha-based rights activist filed a complaint. The Commission then directed the Secretary, Union Ministry of Health and Family Welfare, Government of India and Health Secretaries of the States concerned, including Rajasthan, to file action taken reports within four weeks. The apex panel has also ordered Commissioner of Police of Jaipur to file his report on the matter within the stipulated time, as confirmed by the Express. In a recent incident reported in the media, the State Drugs Control Administration chanced upon a series of medicines including, alkalisers, antihistamines, and antibiotics supplied by a fictitious company. Further tests only confirmed the news. This fictitious company has spread its network in other cities which takes the matter to another level. Other states like Uttar Pradesh, Maharashtra, Gujarat, Uttarakhand, Tamil Nadu, Assam, Himachal Pradesh, Kerala, Karnataka, Madhya Pradesh and Andhra Pradesh are also under monitoring now. The whole drug racket came to the fore when the state checked the records of this fake company Abhaya Healthcare. The company was holding a registration certificate in HP, but otherwise was non-existent in the records of the state. Post which the Drugs Control administration officials busted the whole racket. The probe led the officials to manufacturer Avdesh Sharma of Jaipur, who had allegedly been manufacturing spurious drugs under fake company names and supplying them across the country. More than `52 lakh of medicines and machines were reportedly seized from the basement of his house in Jaipur, which he had been using as his factory, as reported by Express.